There are many versions of Egg Sandwiches available. All versions are so tasty and liked by all age groups. But I always give importance to the one which is so healthy. This sandwich is also so tasty and filling. Healthy by the addition of Avocadaos. A simple and an easy to prepare sandwich. Perfect healthy Breakfast. Can be sent for kids lunch box, suits travel and also picnics. Checkout my other Egg sandwiches too. Egg Salad Sandwich, Scrambled Egg Sandwich (with veggies), Beansprouts Egg Sandwich, Boiled Egg Sandwich. Hard boil the eggs for about 5-8 minutes. Allow to cool, peel them and roughly chop them. 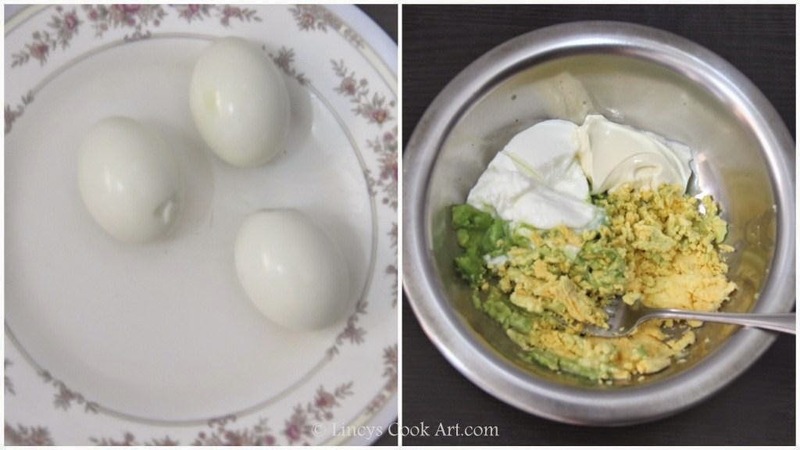 Scoop out the avocado using a spoon and add in a bowl and mash it using a backside of the fork. Add roughly chopped the eggs and and add mayonnaise, yogurt/ sour cream, minced garlic and mash roughly using backside of the fork. But make sure that you do not mash them too fine, the texture should be a bit chunky. 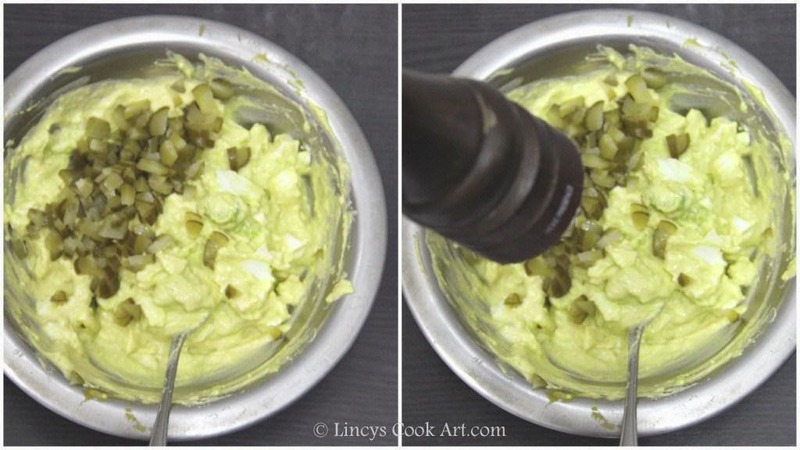 Then add chopped cucumber/ gherkins, chopped jalapeno with the egg mixture and mix well. Take a bread slice and keep a lettuce leaf; add a tablespoon of filling and close with another slice of a bread. 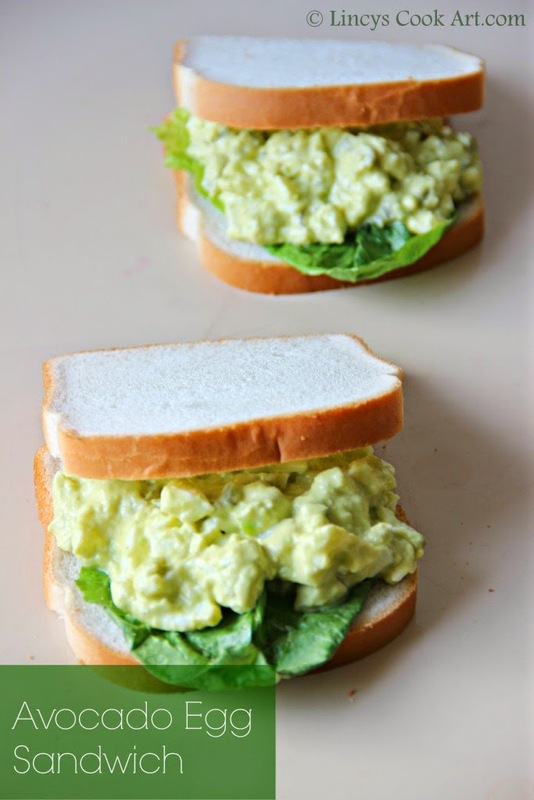 You might also like Egg Salad Sandwich, Scrambled Egg Sandwich(with veggies), Beansprouts Egg Sandwich, Boiled Egg Sandwich. 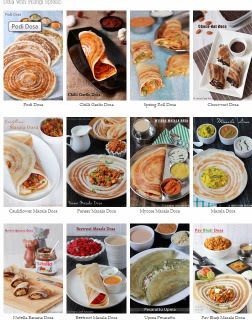 Comfort breakfast & nice clicks . nice healthy sandwiches. Will try this for my daughter. Healthy breakfast for summer... nice sandwich recipe dear.. Such a filling and very delicious sandwich,i dont mind having it.